Home PERSONAL It's a Near Year! 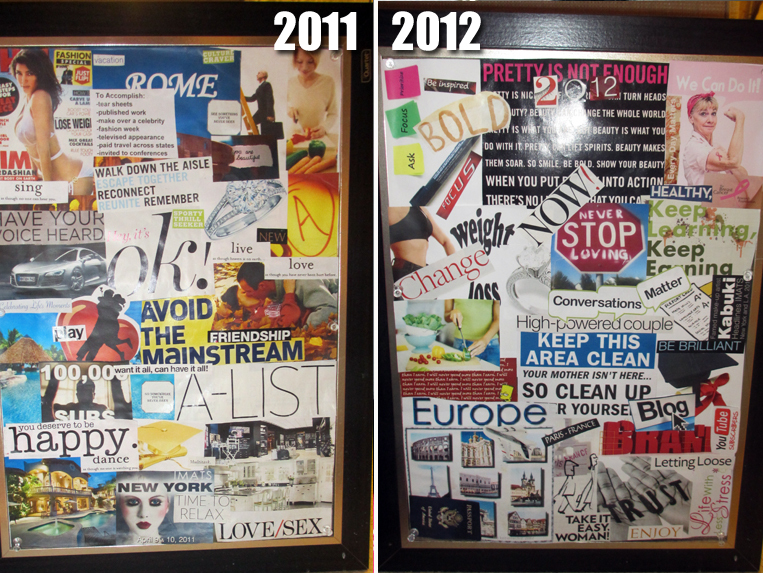 2012 Vision Boards! It's a New Year! Ahhh how refreshing. I don't know about you all, but I am so excited to see what 2012 has to offer. 2011 definitely had its challenges and i'm ready for this year to be just plain awesome. Last year was my first time making a vision board with my goals and dreams for the year. This year, you know I had to do the same! A vision board chronicles your hopes, wishes and desires for the future. It's typically some sort of a collage that you put up somewhere. I have mine on a bulletin board in my bathroom. Looking at it everyday reinforces my vision and I was happy to see many of the dreams on my 2011 board come true! This year I updated my board completely. My life is in a different place a year from now...I have same of the same goals and aspirations but a different look on life. I'd say I'm more hopeful this year and focused on achieving! The BF and I like to do this activity together and it's actually a great bonding opportunity for you to do with your friends, families and loved ones. Now let's get started: All you need are some old magazines or even some google printouts...along with scissors and either tape or glue. Get to cutting! Cut out inspirational phrases, pictures or anything that floats your boat! 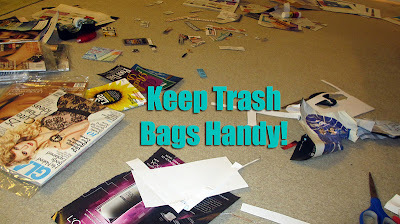 Here's a tip, you can make a bit of a mess so keep trash bags handy lol. 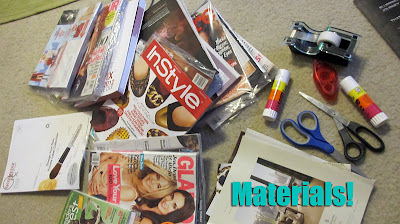 This is also a good way to make use of those old magazines lying around. When you're done, recycle them and clear em out! 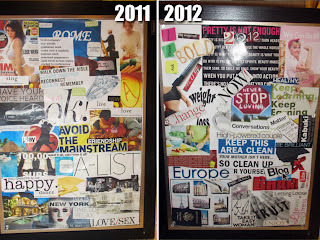 Here is a shot of last year's and this year's vision board. I bought a nice bulletin board at Michaels last year on sale. It matches my decor and is still holding up. I actually prefer to glue everything to one large sheet of paper so it's easy to remove the next year. Have you guys done your vision boards this year yet? Let me know in the comments below!